in the Ningxia Hui Autonomous Region. In 2011, when my husband and I decided to return to China and set up our own winery, all our friends told us we were insane. We were living in France then: I was working at a wine-trading company, he at a vineyard. Our parents couldn’t help but wonder why we would abandon lucrative jobs in the “empire of wine” and return home to work in China’s growing but still-nascent wine industry. But it wasn’t as though our decision had been made on a whim. After completing my undergraduate studies in China, I went to France to study a program in connaissance et commerce international du vin— “appreciation and international trade of wine.” At the time, my then-boyfriend and I were in France for similar reasons: He was studying wine-making and ultimately earned a national certification in oenology, the science thereof. After completing our studies, we both found jobs in Burgundy, one of France’s most famous wine-producing regions. Back then, virtually all winemakers had their eyes set on one lucrative business opportunity: China’srapidly expanding wine market. However, as Old and New World wines vied for a place in the Chinese market, domestically produced wines remained mediocre at best. In our search to find a decent-tasting Chinese bottle, we tried a wide variety of homegrown wines. We discovered that domestic wineries would use artificial additives or other technologies to adulterate the natural taste that wine acquires as it ages as a means of catering to the tastes of Chinese consumers. These wines tasted industrial, commercial — fake, in other words. There were also many wineries that attempted to emulate the taste of Bordeaux wines. To be honest, the most challenging part was finding a Chinese winery with its own unique flavor. Having been profoundly influenced by Burgundy’s wine culture, my husband and I understand that each wine’s essence is defined by the climate, soil, and surrounding fauna of the region in which it is produced; viticulture is a philosophy that emphasizes a symbiotic relationship with the natural environment. We resolved to produce a wine that tasted of our home country and expressed our own personal philosophy. And in keeping with the Confucian tenet of filial piety, we also hoped to be a little closer to our parents. After visiting China’s main wine-producing regions, Shandong and Ningxia, we ultimately chose northwestern Ningxia as the site of our vineyard. Ningxia’s environmental conditions, as well as its local culture, appealed to us more than Shandong. Elements of its climate — the relative aridity and wide temperature range from day to night — are conducive to growing grapes and would allow us to produce high-quality, full-bodied wines without using pesticides or herbicides. In March 2011, we signed a lease for 7 hectares of land. Soon after, the deafening rumble of tractors and trucks could be heard for miles as they plowed the long-unexploited soil. During spring in the northwest, the weather oscillates between warm and cold. I remember bitterly cold gusts cutting through my clothes like little daggers while the excavators whipped up so much dust that one could hardly breathe. More frustrating than these conditions, however, was the way in which our winery’s philosophy and values conflicted with those of the surrounding population. The virgin plot of land that we lease is located in the lower expanses of the alluvial fan of the Helan Mountains — that is, the fan-shaped sedimentary deposit left by the mountains’ network of streams. Many years of built-up sediment caused the soil to harden and gave it an excessively high pH level. We had hoped to use natural rather than chemical methods to make the soil more conducive to growing grapes — but after seven years of cultivating the earth, we still have 2 hectares that aren’t yet fertile. Moreover, our employees are often harassed by wasps, which they wish to eradicate using pesticides. We have refused to let them do this, because wasps are natural enemies of many of the pests that would do the grapes harm; as such, their presence is vital to the ecology of the vineyard. Perhaps not surprisingly, our idealism and “inefficient” methods have yet to win universal approval. In keeping with the region’s land use conventions, our vineyards were planted by local farmers on a contractual basis, and our winery was responsible for providing these farmers with technical training. One of our winery’s fundamental principles is not to use chemical fertilizers, pesticides, or weed-killers. However, the unforgiving alkaline soil means that our vines grow at a sluggish pace and often struggle to complete with the heartier weeds. The local farmers who grew our vines insisted on using fertilizers, as well as on thoroughly eradicating all weeds. By doing so, they argue, they can save both time and effort, and we can save money. We repeatedly explained that we would spare no expenses until 2013, by which time we hoped they would come around to our philosophy. But an accord failed to materialize, and we ended up parting on bad terms. Initially, having been left to our own devices with tiny seedlings that desperately needed nurturing, all I could do was hang my head and cry. Later on, with no other options available, we cultivated the vineyard ourselves, pouring our blood, sweat, and tears into the dry earth. I even taught myself how to drive a tractor — an agricultural aptitude that had never been high on my to-do list. The source of conflict was not the farmers themselves. The local government has issued a series of policies ostensibly intended to support the growth of the wine industry. These policies include offering to pave roads or install irrigation networks at no cost to the wineries. However, we refused many of these policies because they are at odds with our principles — for instance, the irrigation plans as they were proposed clashed with our winery’s emphasis on biodynamics, or respect for nature. People offered us these tools out of kindness, but we insisted on doing things the hard way, which in hindsight may have made us seem ungrateful and eccentric. In many people’s eyes, the key to a successful business is to make things bigger, faster, stronger. Neither the local government nor our own dear friends could comprehend our way of doing things. They thought we lacked drive, that we didn’t have a desire to succeed. They believed that we should adapt to the market and defile the taste of our wines using acids, sugar, and powdered tannins. The common consensus here is that the cultivation of grapes requires considerable intervention: Fertilizers and pesticides need to be used, pests need to be eradicated, and everything has to be done to perfection. However, my husband and I continue to believe that perfection is not necessarily the be-all and end-all. For us, to adapt to the natural environment and allow wines to improve over time is enough. Fortunately, our original intentions are gradually becoming more widely understood. “Natural wine” and “biodynamic practices” are emerging concepts, even overseas. 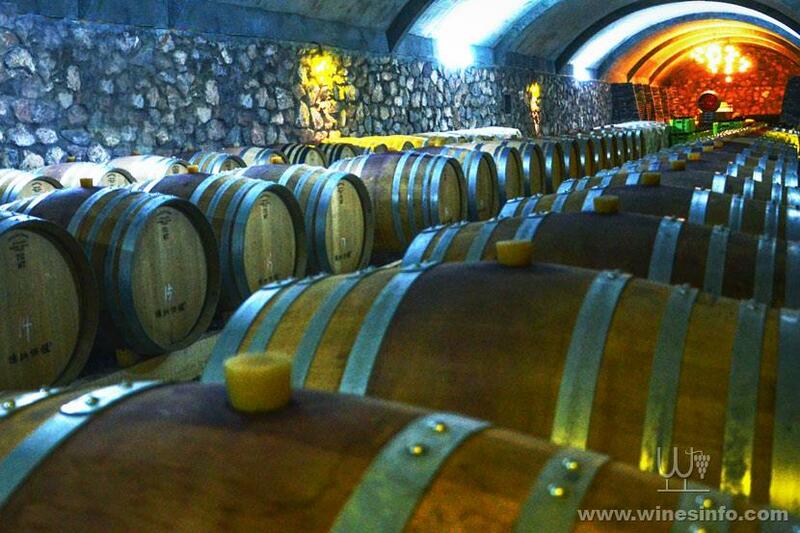 Perhaps due to ancient philosophies such as Taoism, which emphasizes living in harmony with natural forces, even Chinese consumers who have no knowledge of viticulture are increasingly able to accept our methods of making wine. In a country like China, where food safety is a serious concern, consumer demands are simple: They are satisfied as long as the producers are honest, their products natural. We have never aspired to make the best wine in China, nor do we hope to become a Chateau Lafite Rothschild on Chinese soil. 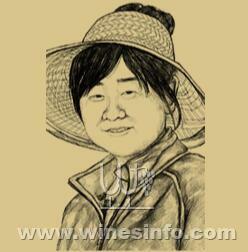 We only hope to make pure, authentic Chinese wine. It can be imperfect, but it must speak of our own land and people instead of attempting to emulate Bordeaux or Burgundy. As far as I’m concerned, this may be the only way for China to dispel its reputation for artificial and characterless wines, and truly find its place in the global market. Translator: Lewis Wright; editors: Lu Hua and David Paulk.